Your support in your home or community. 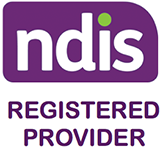 Enable WA supports individuals and families living with disability, mental health, ageing and short and long term health issues in their home and community. The support is tailored to your individual needs.